Keep Your Web Design User-friendly! What Makes a Good Web Design? Why Is Responsive Web Design the Way to Go? 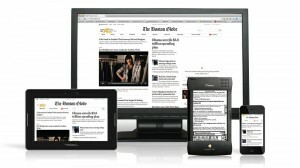 With the fact that users from around the world have gone from using computers to using mobile and handheld devices more and more in recent years, many websites are feeling the need to become responsive. However, many of those same websites do not quite understand the impact of going responsive in their designs. If you are considering going responsive, then make sure you understand why. For those websites that have a standard website, plus a mobile website, you have the added expense, time, and frustration that comes with managing both sites. If you can use a single website for both needs, it cuts all of those in half, at the very least. Some websites can even go down to less than half the cost of the original two sites. Google is understanding how the trends of websites are going, and you should, too. They are giving more credit to those sites who have been working to not only cater to their desktop visitors, but also their handheld device visitors as well. The more your website offers in terms of value and convenience, the better Google will rank your website in the search engine results. Obviously, that is assuming you are following the rest of the SEO rules. Just a decade or two ago, people only used desktops to access the internet. This was due to the cost of having anything else that could even access the internet being so astronomical. Now that people are using things such as Smartphones, tablets, glasses, and even watches to access the internet, websites need to keep up with the times. If you do not have the ability to keep your audience connected to your products or services, they are very likely to go elsewhere to find a provider that does offer that ability. Responsive web design keeps you in touch with your customers and allows them to access what you have to offer, any time they need it and no matter where they are. Take the time to show them that they are important to you by offering them a scaled down version of your standard website. This will give them access to what they need, and also help them build up trust that you really have their best interests in mind.